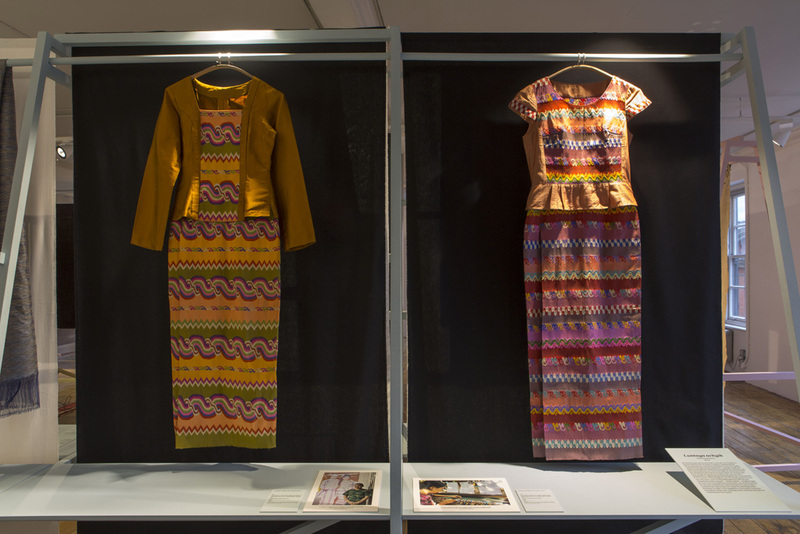 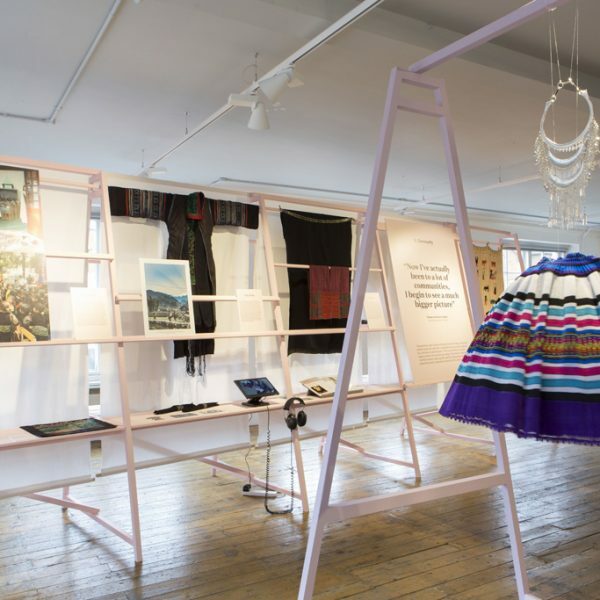 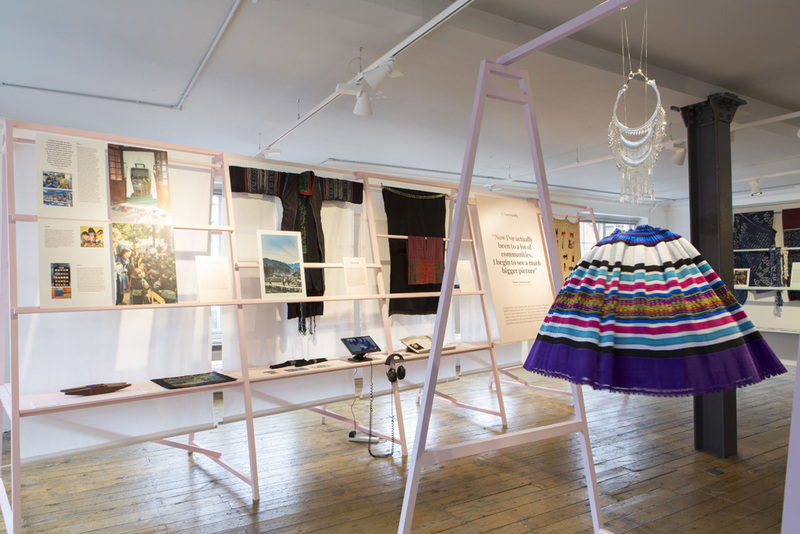 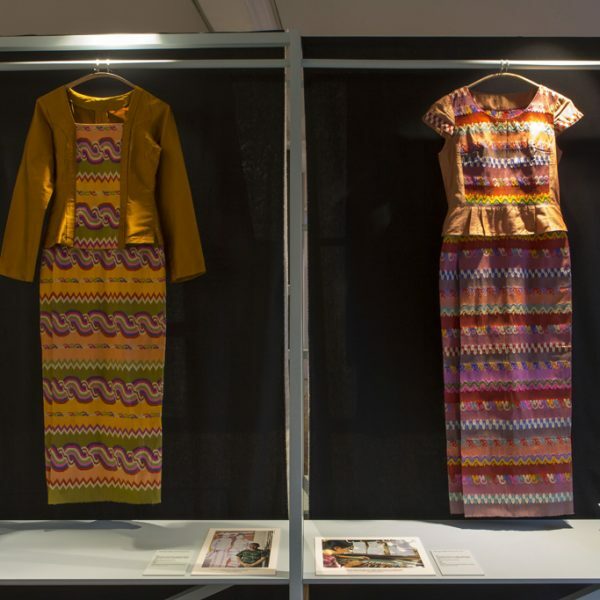 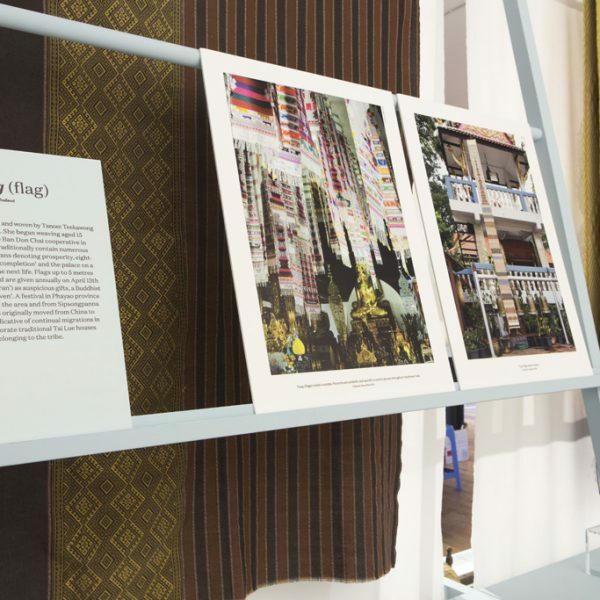 Mixing textile pieces, garments, sketches, pictures and film footages, this didactic and multimedia exhibition successfully captures the social and economic issues encountered by the rural textile communities who struggle to preserve their traditions in a globalized shifting world. 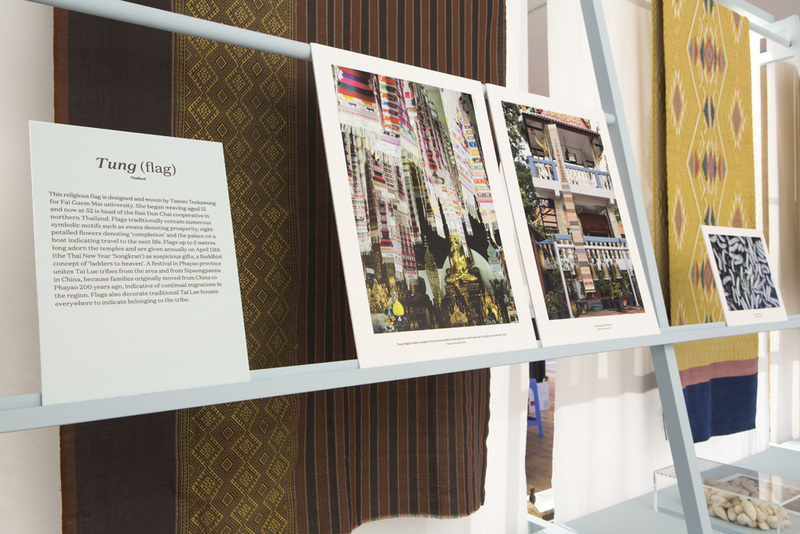 To transcribe this rich and plural perspective, curator Martina Margetts has skilfully separated the gallery space in three distinct zones revolving around one specific topic: commerce, community, and craftsmanship. 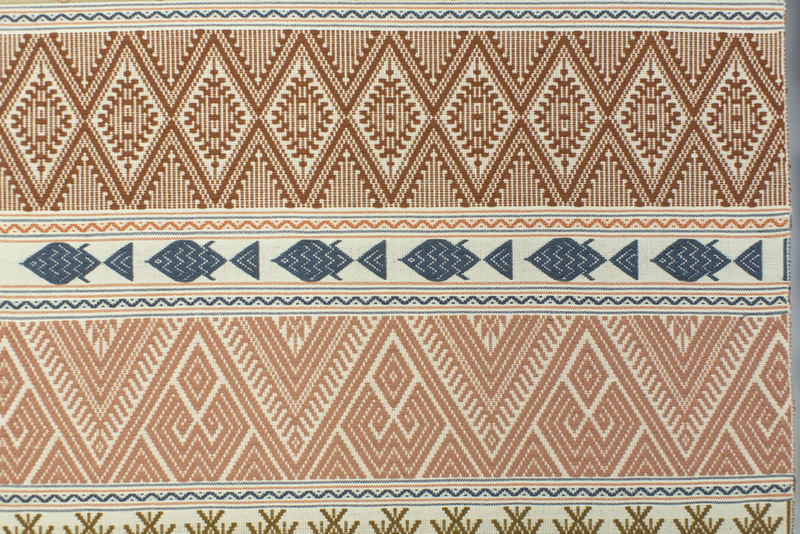 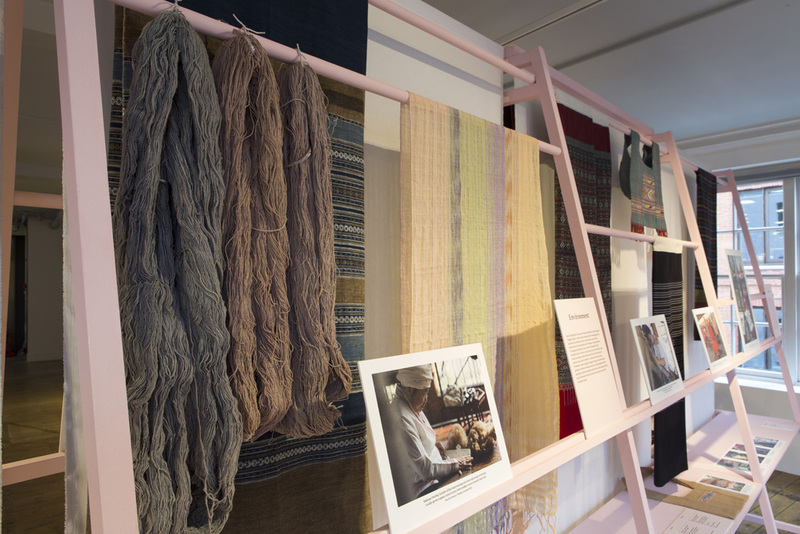 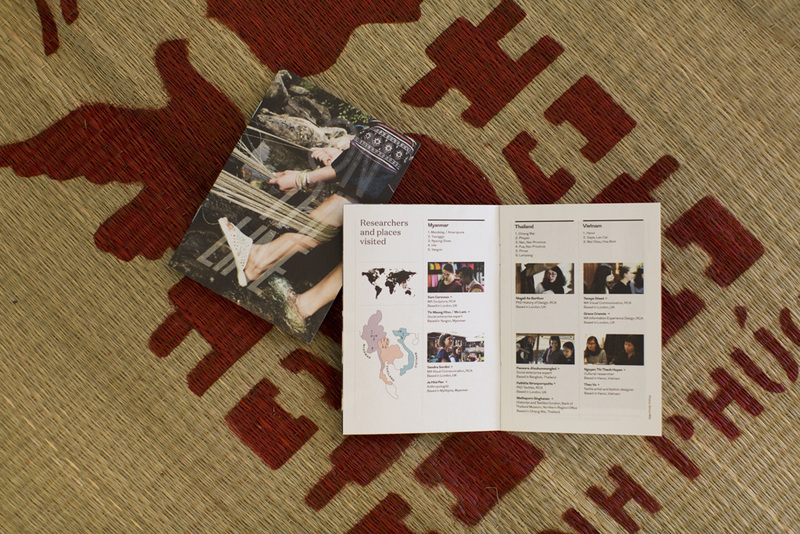 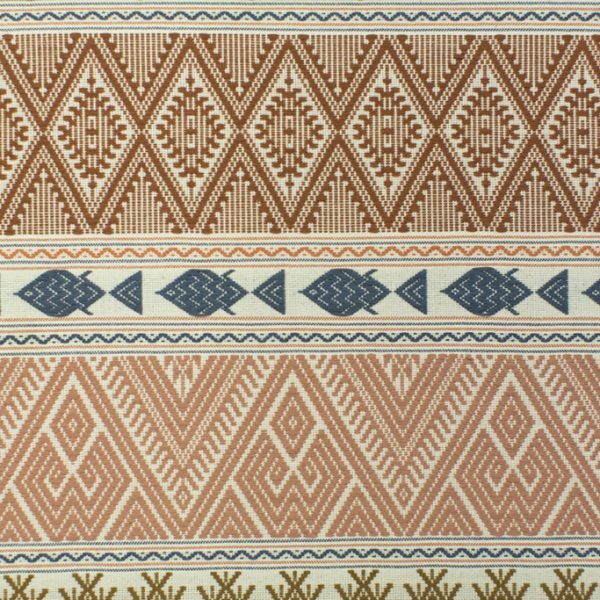 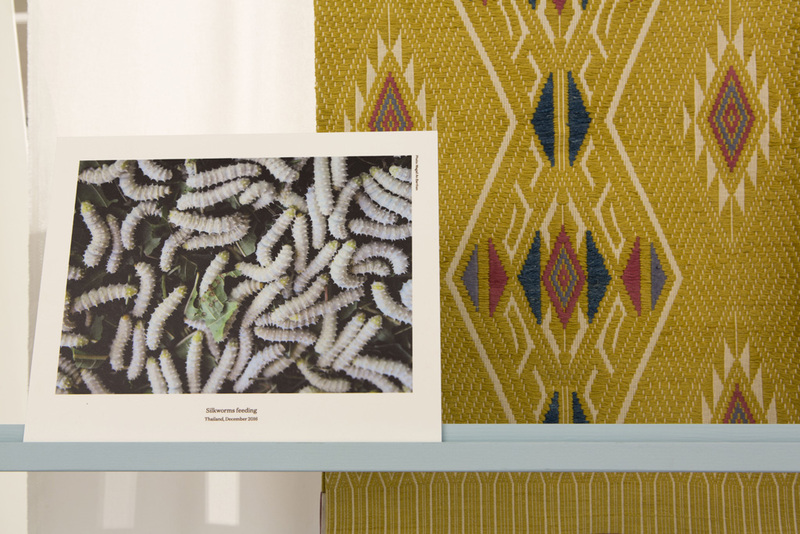 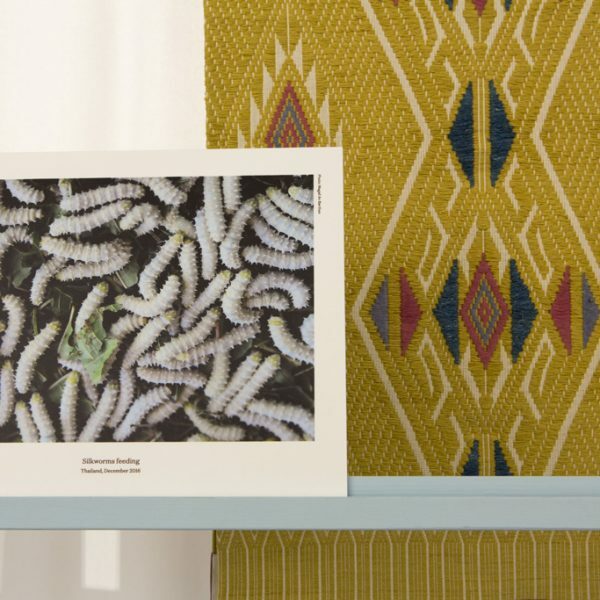 On the Line highlights female weavers’ work conditions, the mechanisms of skills transmission that often operate from mother to daughter, but also the economic and environmental aspects of artisanal practice. 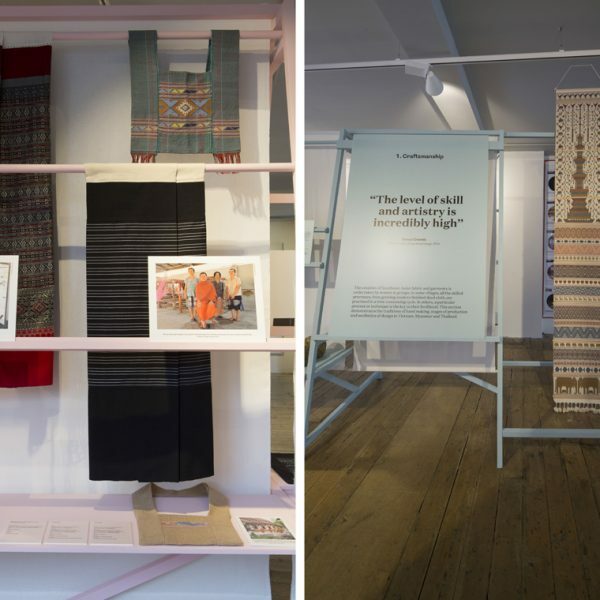 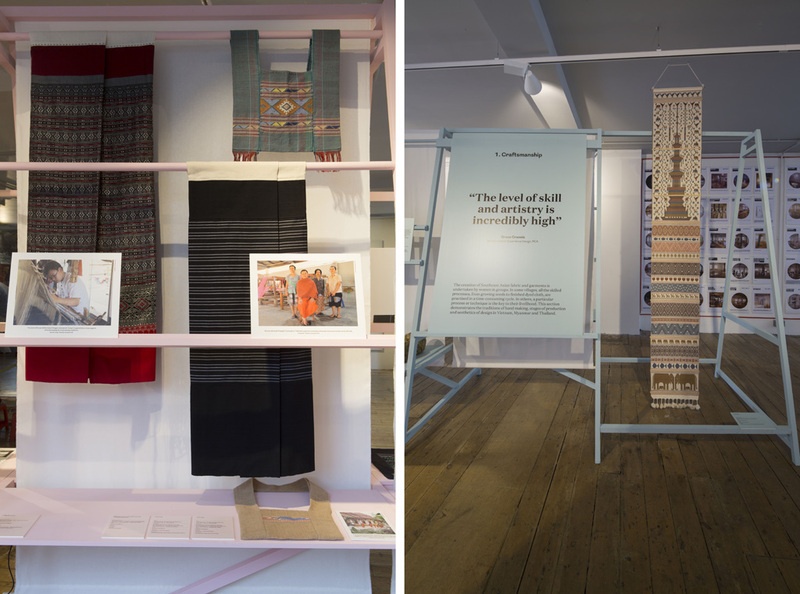 The abundant display of lustrous colorful textiles, traditional and more contemporary garments, hemp and cotton skeins’ fascinating materiality are delight for the eyes. 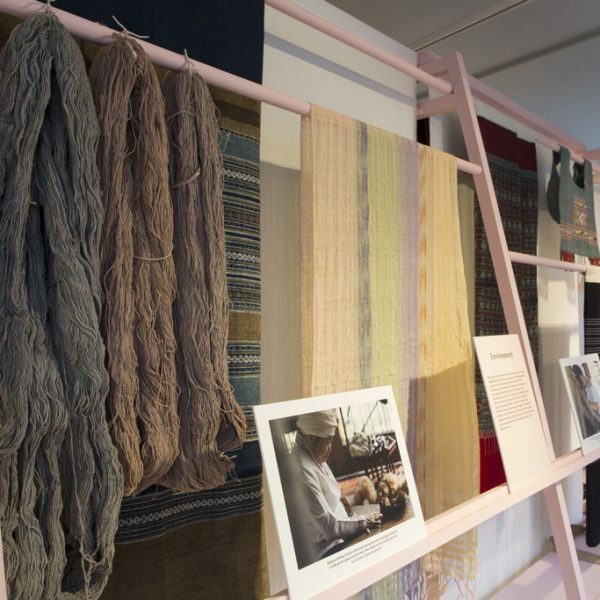 They constitute vivid evidence of craft practices that are very much alive and that deserve to be known, understood and encouraged.